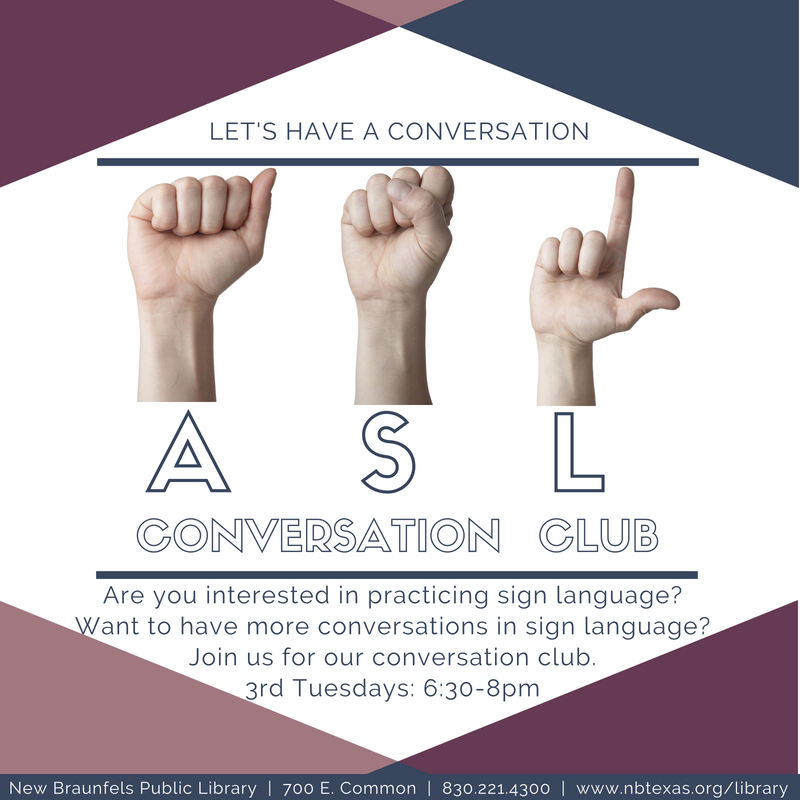 ASL Conversation Club: This year NBPL introduced this new program for all ages. This club gives patrons the opportunity to practice their American Sign Language, expand their ASL skills, and meet new people. NBPL was excited to add a Bilingual Storytime to our regular storytime rotation. 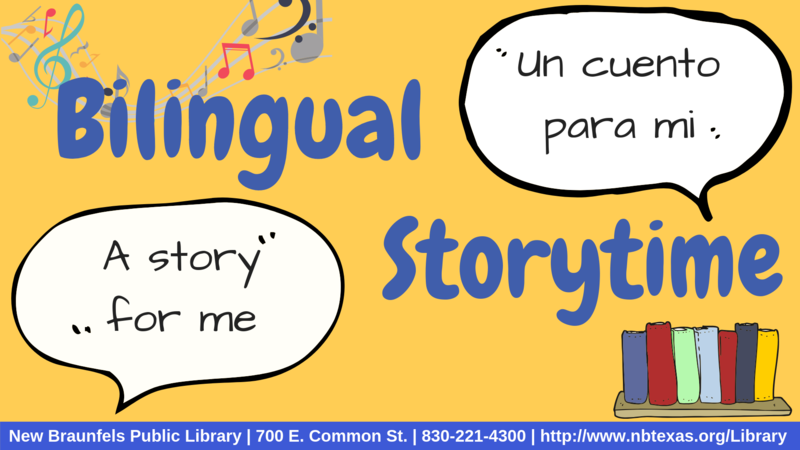 This storytime offers children the chance to engage in stories in both English and Spanish. 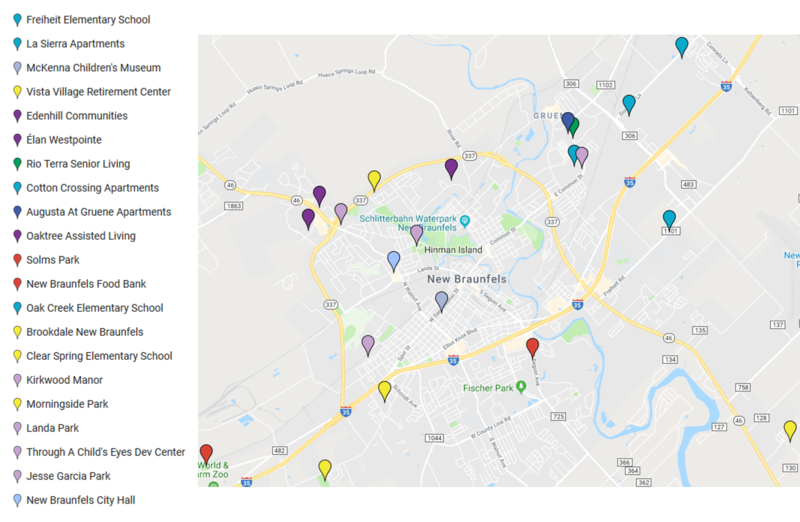 RIOmobile: The library has once again added a few more stops to our RIOmobile's (bookmobile) weekly stops throughout the city of New Braunfels, which include apartment complexes, senior living centers, parks, and some K-12 schools within the city limits. The RIOmobile also made special appearances at large city events including the Comal County Fair Parade, Resolute Healthy Pregnancy Fair, McKenna Roll & Read, National Night Out, Dr. Seuss Celebration, and several resource nights, back to school fairs, and PTA carnivals at schools in the area. O.W.L. 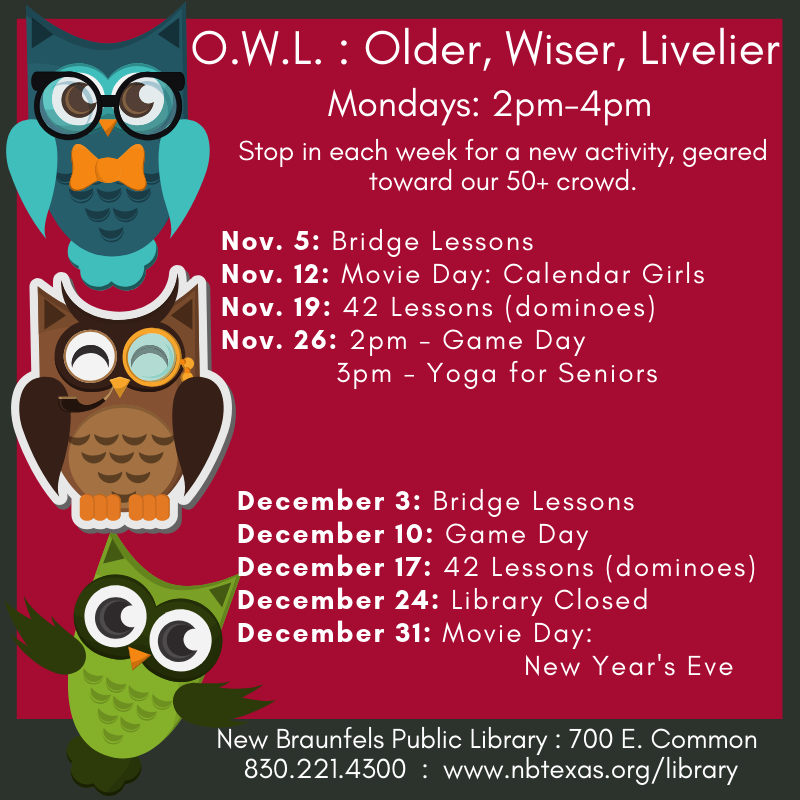 (Older, Wiser, Livelier) program: The library has enhanced our well-recieved O.W.L program, which hosts an assortment of weekly events for the senior citizen crowd, such as crafting, movies, games/puzzles, and guest speakers. 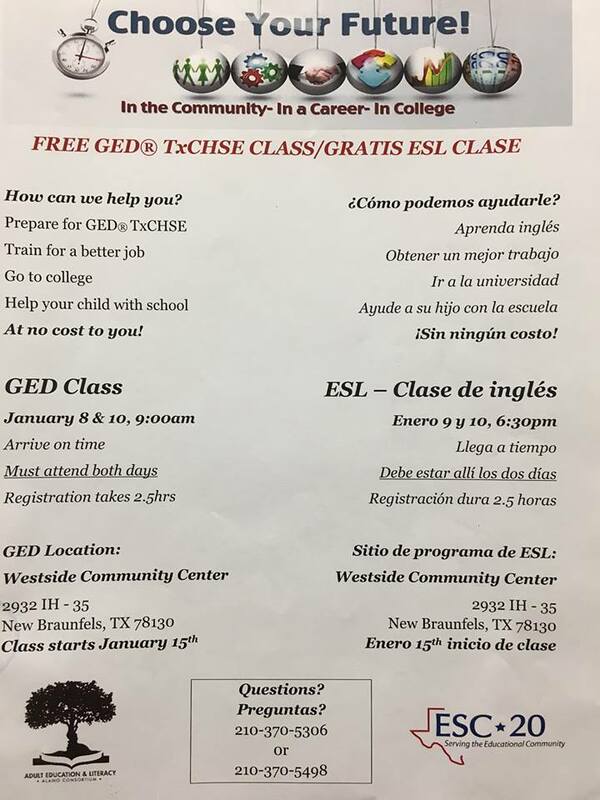 ESL and Citizenship Classes: The library continues to provide free vocational ESL classes at our Westside Community Center. The Westside Community Center also hosts two citizenship classes each year. 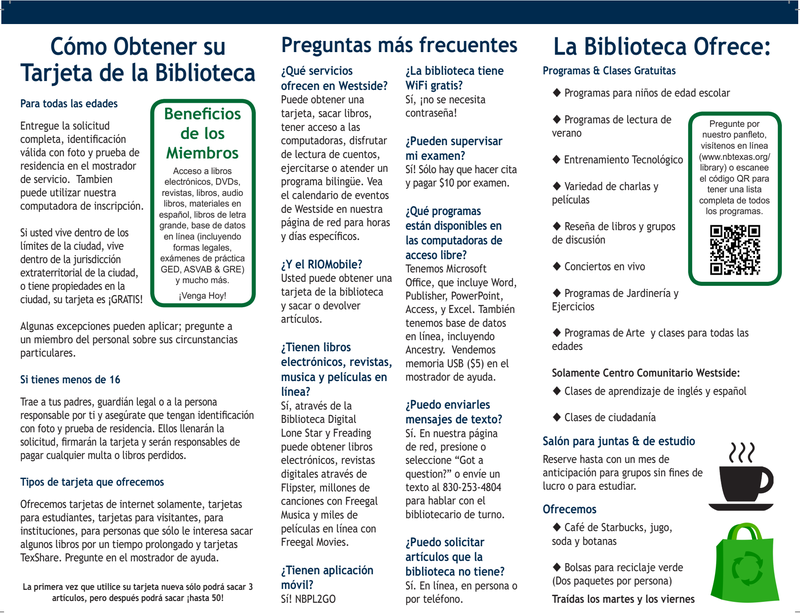 Patrons are also encouraged to use our ProCitizen database, available in both English and Spanish, in conjunction with the citizenship classes as a supplemental resource. Food Vouchers: The library and Westside Community Center still collaborate with the San Antonio Food Bank through the the Mobile Food Pantry, meaning each branch provides food vouchers, and the Westside Community Center serves as a distribution location. They Mobile Food Pantry served close to 200 families in December 2018's first distribution. 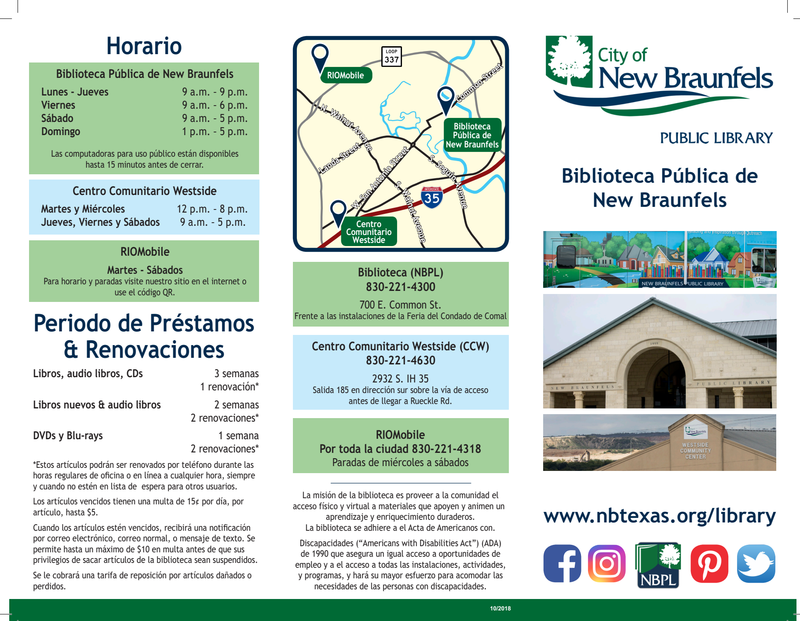 The NBPL programs have received positive feedback and achieved great success within the New Braunfels community. Additionally, a majority of our program brochures were also available in Spanish to provide more opportunities for community involvement.